If youâ€™ve been enjoying the huge library of games on Bananatic, you may well have amassed enough points to get PSN 365 days UK for free. This subscription comes with a host of features and gives you access to full games, multiplayer gaming, cloud storage and discounts. One of the most fabulous things about playing our games is that the better you perform, the bigger the rewards become. 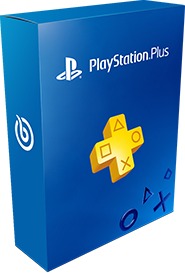 Even if you donâ€™t have the points that you need, you may still be able to get PSN 365 days UK for free by entering our Bananabet lottery. Take a look today.